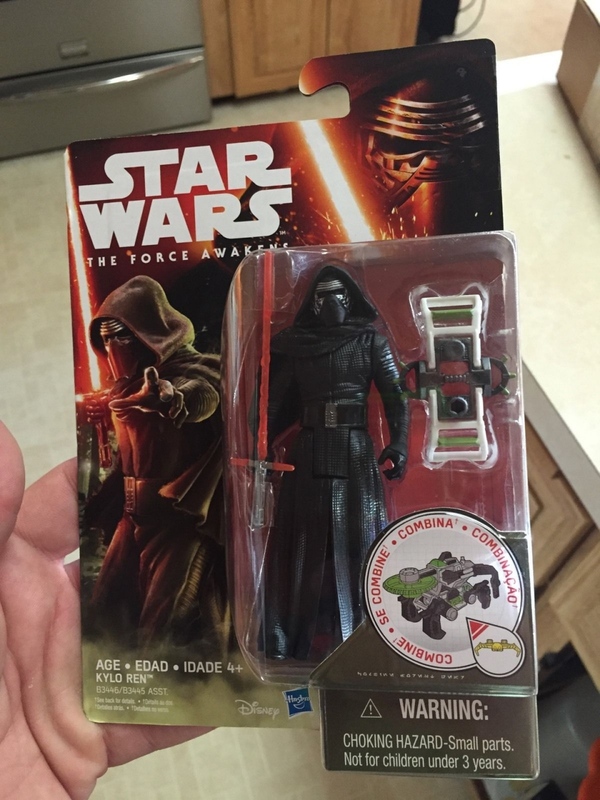 Check out this eBay listing for an early leaked Kylo Ren with a Buy It Now price of $99. Obviously it’s already sold. There was no way this was gonna sit around without being bid on. The seller doesn’t give any details about the figure at all, but it looks legit. This is the first time I’m seeing one of the standard action figures for the new movie, and it looks pretty awesome. Bad guy Kylo Ren’s action figure at least looks really good. I may not be completely up on all of the Star Wars spoilers, because I am not sure what that contraption is that he comes with. Apparently, it “combines” to do something.